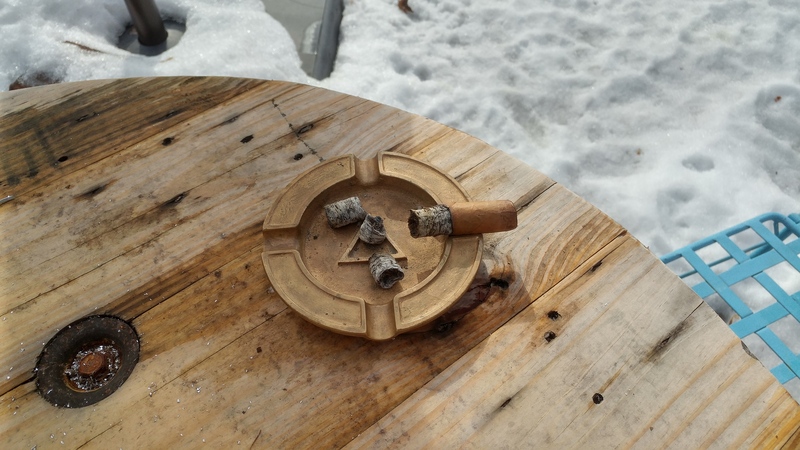 Since it is relatively warm today (like 5 degrees and sunny so feels like 10-20 F) decided to have a full cigar for the first time in weeks. Broke out the Black Ops which is pretty good. 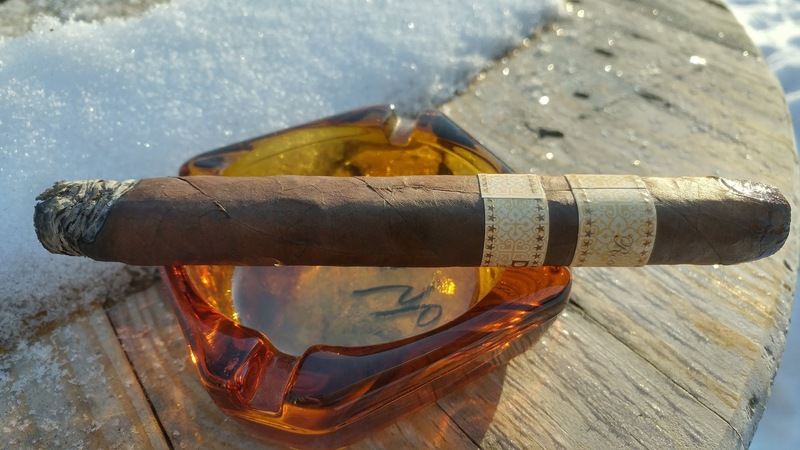 A chocolate, espresso, and slightly spicy cigar. Only problem I had was the burn line wasnt great so needed some touchups but overall quite good. Overall would buy if they are a decent price but not a favorite. Not bad at all though. A new store is opening down in arizona with a really cool YTer who used to do cigar stuff for a different company but now is opening up his own shop and the Youtube channel he runs with it is super interesting to watch. Too bad its so far away otherwise id totally go to the place and check it out lol… But Here’s a live stream he did yesterday. 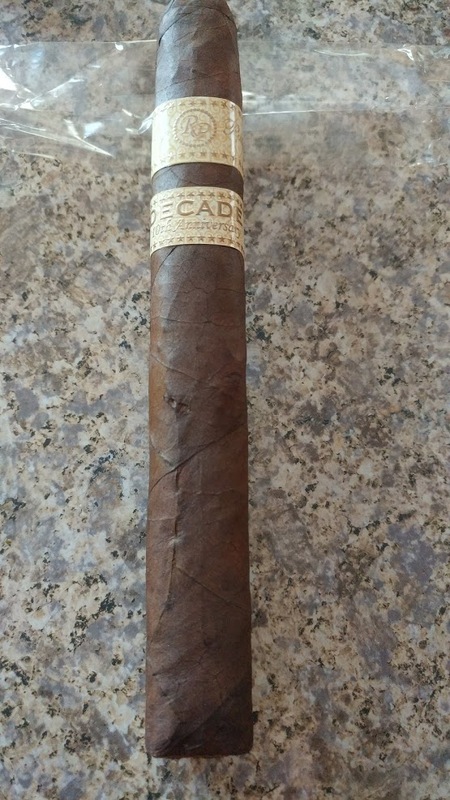 This time it’s a Rocky Patel Decade. 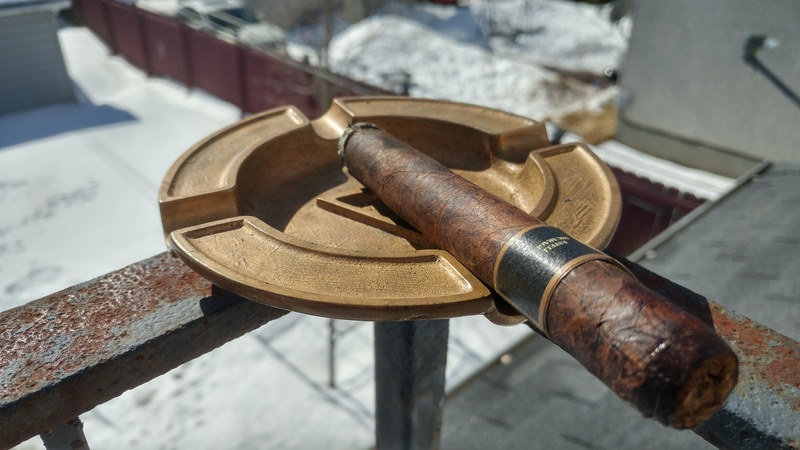 Named as such as it was created to celebrate 10 years of Rocky Patel. It has a dark Sumatra wrapper with a “secret” blend of filler tobaccos. 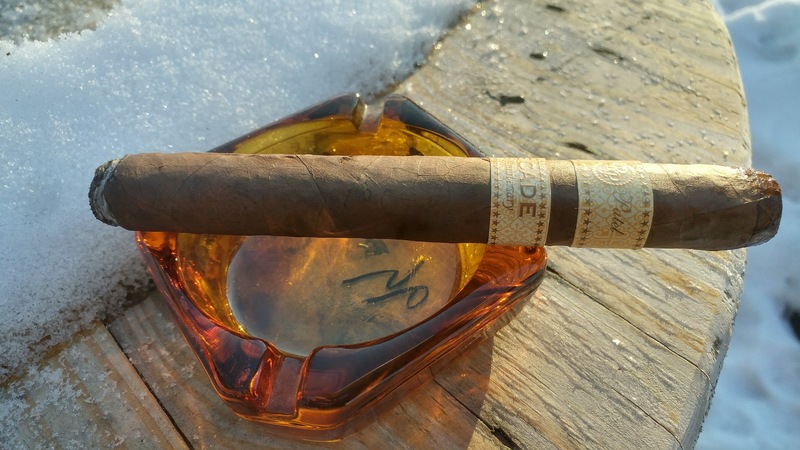 Taste of pre-lit cigar is creamy and sweet, with some chocolate notes. Lighting up the flavors are very chocolatey and expresso, while being very creamy and medium bodied. A massive amount of smoke, which is quite nice. 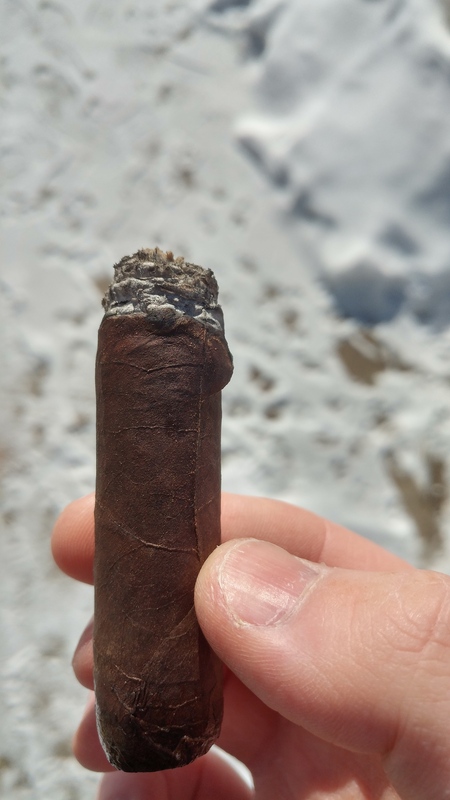 Moving farther into the cigar, the tastes stay more or less the same but the creamy flavors also develop a bit of a cake/bread flavor while the coffee and chocolate are still the main flavors. Very nice so far. Past the first third, the profile has stayed creamy, chocolatey and coffee for the most part. 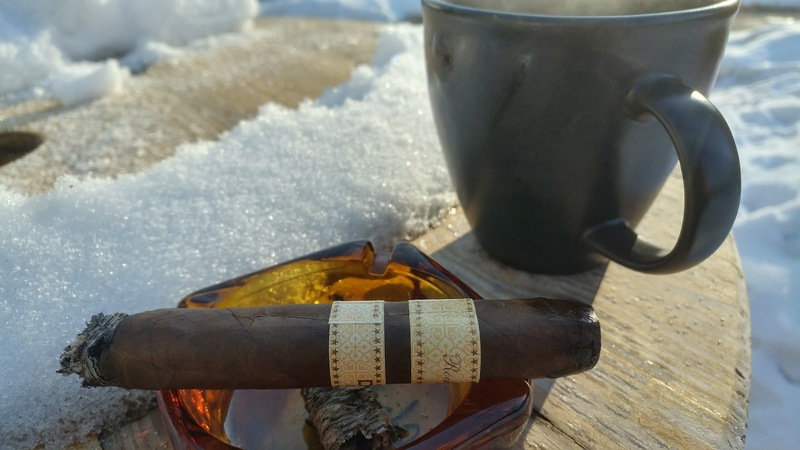 About halfway into the cigar, the tastes get a bit stronger, and I went and grabbed a cup of coffee to pair with it and it mixes very well with the taste of the cigar. Still the same flavors but the coffee and chocolate flavors are more intense. 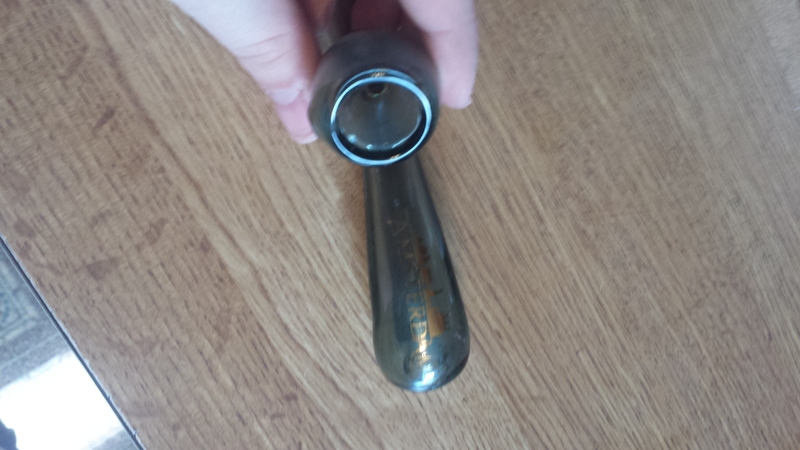 Cigar is also a medium-full strength and at this point it starts hitting pretty hard with the nicotine effect, about 45 mins in to the smoke. 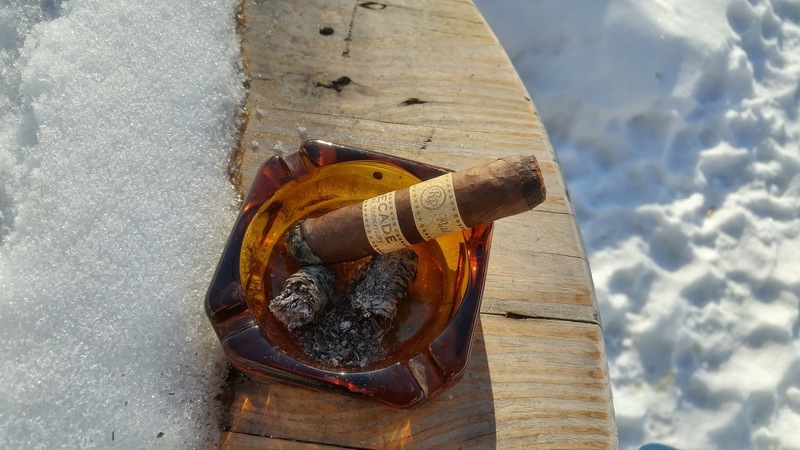 The remaining parts of the cigar stayed pretty much the same in flavors with some slight changes to how strong each flavor was until the end. Pic of about halfway to the end of the cigar. 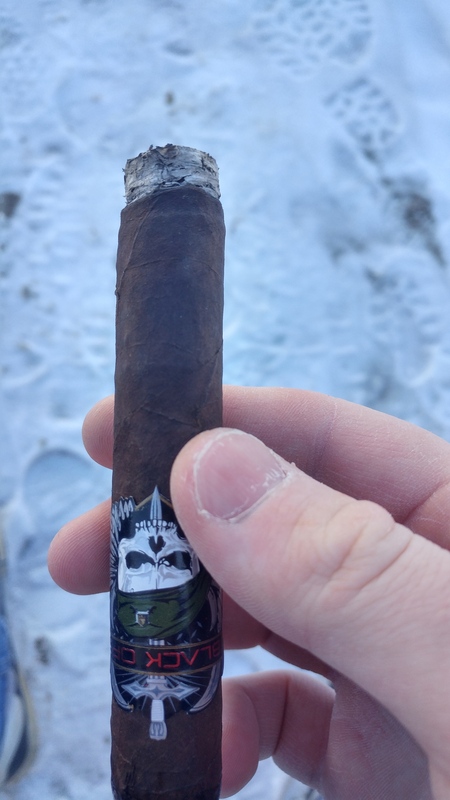 Overall awesome tasting cigar, with a great taste profile and a surprisingly strong smoke for how it tastes (so take time with it for sure). 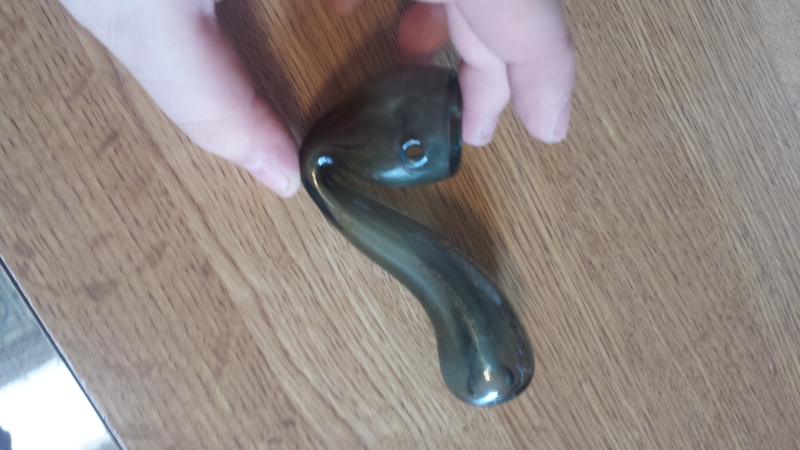 Ended up being a 2 hour long smoke for me because of this. yep is pretty neat. I admire the design and simplicity of it. lel are those even functional? Most likely, i can’t see any reason for them to not work. 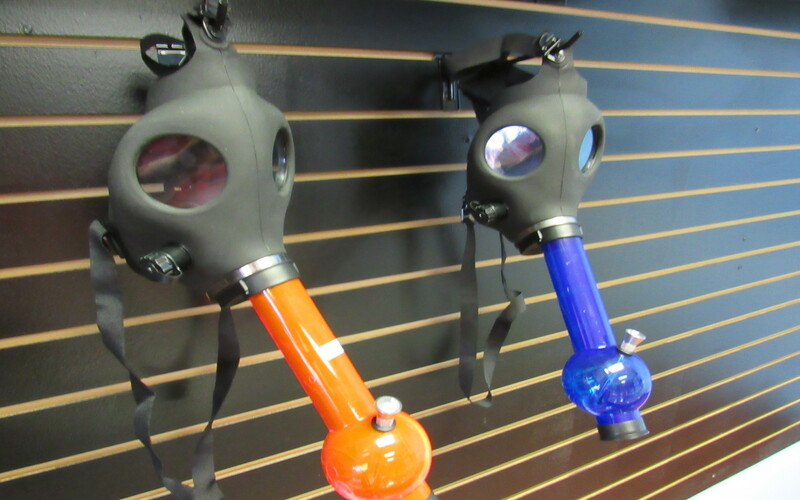 I wouldn’t use one without the valve on the side open though. yeah was my thought but didn’t see the valve when I first looked at it. As it turns out this works rather well. Quite nice $10 buy. Its above 30 degrees holy crap! Lol. 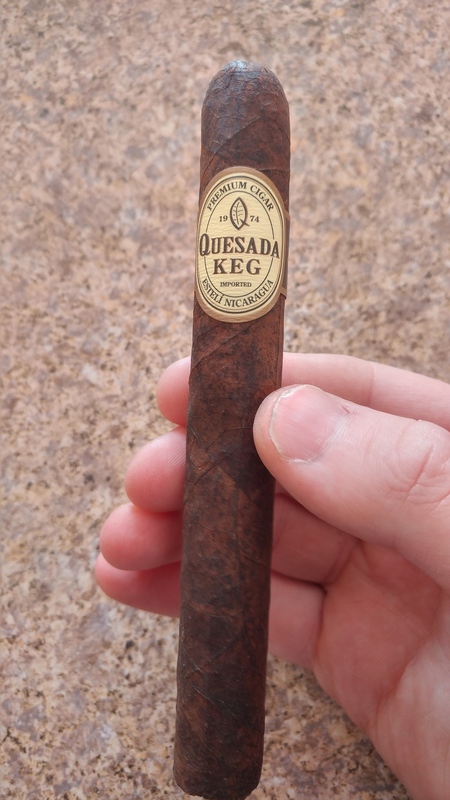 Having a Quesado Keg currently. 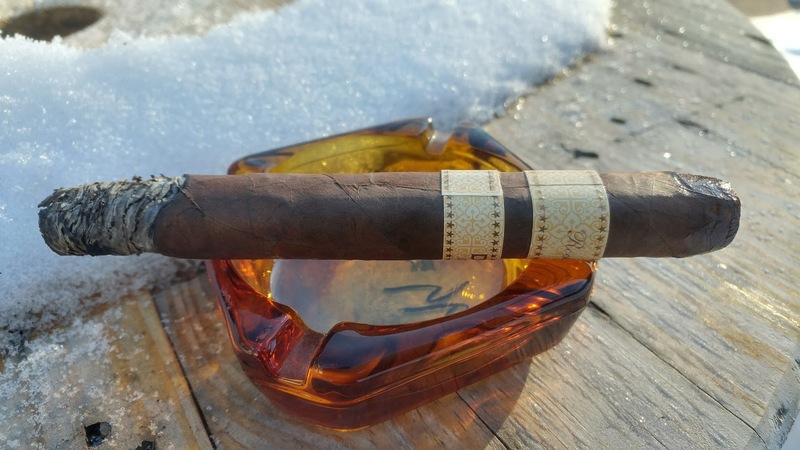 Its an interesting dark chocolate, but also cinnamon and spices flavored cigar. Kind of strange at first but I like it. Got some new glassware a while ago but forgot to take a picture . Better late then never so heres one after cleaning it.